Why should I read to my baby before birth? OK, so you’re intrigued. Reading to your baby in the womb seems like a fun way to connect with your expected child. But did you know there’s a heap of research that supports the benefits of this practice? We thought we’d give you a quick breakdown of some of these findings, and point you toward further details. You might also want to check out this fascinating TED.com talk by Annie Murphy Paul. It’s a synopsis of the latest discoveries in the exciting field of fetal origins. Your baby will become familiar with your unique voice. Research shows that babies recognize the voice of their mother at birth and can distinguish their mother’s voice from that of a stranger. See: Effects of Experience on Fetal Voice Recognition. Your baby will begin to learn language. Babies learn first and second languages by hearing them from the womb. When they’re born, their cries contain the sound “fingerprint” of their native language—they actually cry with an accent! 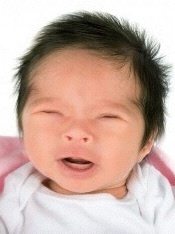 Newborns can distinguish between their native language(s) and languages that are unfamiliar. See Newborns’ Cry Melody Is Shaped by Their Native Language, and also: The Roots of Bilingualism in Newborns. A familiar rhythmic story will soothe your newborn. Newborn babies show a clear preference for the rhythm and melody of a song or poem that they heard regularly from the womb. Babies actually remember a rhythmic poem or story that they heard during the last trimester for up to four weeks after birth, and they’re measurably calmed by that familiar story. There’s lots of research in this area. See: Prenatal Maternal Speech Influences Newborns’ Perception of Speech Sounds, and A Melodic Contour Repeatedly Experienced by Human Near-Term Fetuses Elicits a Profound Cardiac Reaction One Month after Birth, and Aspects of Fetal Learning and Memory. When you take time to relax and read, your baby relaxes, too. When an expectant mother’s heartbeat and breathing slow down, her baby responds physiologically, endocrinologically, and neurologically. These responses have a positive effect on the baby’s growth and development. See: Fetal Responses to Induced Maternal Relaxation During Pregnancy. Bonding with your baby prenatally benefits his future health and emotional well-being. When a pregnant woman feels love for her expected child in the womb, she releases endorphins (“feel good” hormones), which trigger the same hormone release in the baby. The baby becomes accustomed to these hormones and mimics the mother’s positive physiological response. The result is a baby who has unhindered physical, cognitive, and neurological growth, and who is born with a general sense of safety and well-being. See: Prenatal Bases of Development of Speech and Language and Prenatal Stimulation. The more words your baby hears, the better adjusted and more successful she will be in life. There is a direct correlation between the amount that parents talk to babies and their academic and social success. The more words a baby hears in the early years, the more advanced her language and literacy development will be in the future. See: Meaningful Differences in the Everyday Experience of Young American Children. 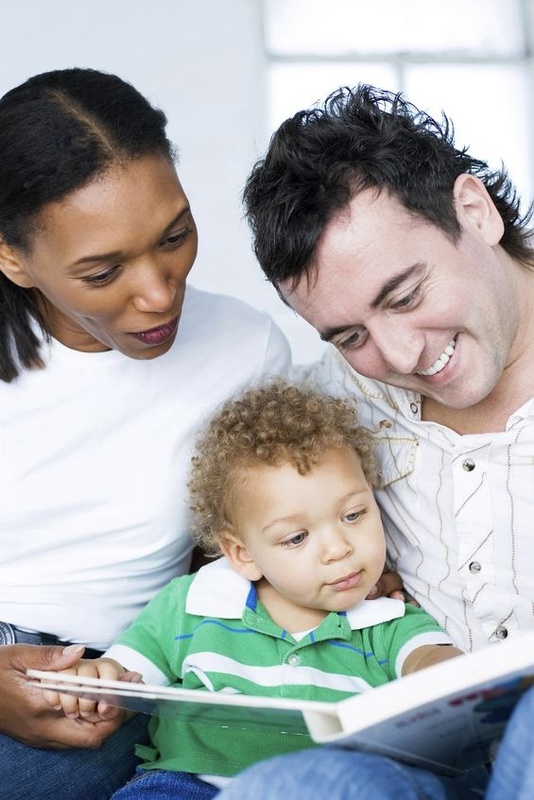 Reading to your child before and after birth strengthens family and social bonds. Establishing a routine around reading creates a sacred, centered, regular time devoted to you and your child. This helps expectant parents and siblings develop a relationship with the baby before birth, easing the transition into parenthood and siblinghood. It’s also an opportunity for others (grandparents, aunts and uncles, friends) to get involved in the prenatal bonding process. In the bigger picture, family reading helps establish a culture in which literacy and language are a priority. See, again: Prenatal Bases of Development of Speech and Language and Prenatal Stimulation. The Research Confirms: It’s Never Too Early! Pretty convincing, isn’t it? Now that you’ve seen all the research that supports in utero reading, it seems the real question is, why wouldn’t an expectant family read to their baby before birth? It’s so clearly the right thing to do! Next post“A Great Dad” bonds with the womb!